"Leo Esquandolas" lyric; piano solo. 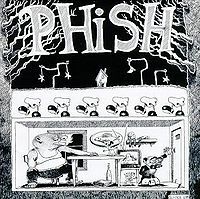 This show featured the Phish debut of Lit O Bit (Rita Clarke And The Naturals) and the debut of Dr. Gabel. In Antelope, "Marco Esquandolas" was changed to "Leo Esquandolas," followed by a Page solo. This was a pretty good show. 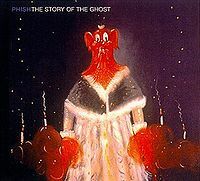 The first set had two debuts, which can be risky, but also had deeper jams than is typical of Set I Phish of this era. Mike is WAY up in the mix and taking a bigger role the past week or so. This show is no different. Some of the jams co-feature Trey and Mike simultaneously. Trey is holding back quite a bit at times (in a good way) and not making all the jams so guitar-heavy. It seems like this will be a nice new jam style if Page will join in. The only complaint I have is Trey forcing the end of one song and the beginning of another in a way that totally breaks the flow. I feel like this happened at least twice. The best example of it is the 'Light' -> '46 Days'. The jam was great and they had already made a transition that one could tell '46 Days' was coming. Instead of letting it happen, Trey forced it by playing chords. It really broke what would have been a memorable and great, TRUE segue (a rarity now). It broke the flow, and I don't see how the other guys aren't annoyed by this. Highlights: 'KDF', 'Sneakin''-> 'Light'-> '46 Days', 'Slave'. Very, very high-energy first set, with a *superb* KDF giving way to the imperfect-but-interesting Dr Gabel and a perfectly fine Antelope. Excellent Possum too. Set II has caused some consternation - more cockblocking from Trey, oh noes! - but everything in the set is extremely well played, and the attention-grabbing Sally > Light > 46 run links three tremendous performances with two jarring segues. I wasn't too impressed with this Slave, truth be told, but everything around it is top-notch. (Check out the vocals in Sally and 46 Days, the filthy Sally funk, and the lovely LxL.) Pretty much everything here is superseded by what went down at Camden and Merriweather, but I'll happily return to KDF and several cuts from the second set as I drift into senescence. Dr. Gabel unconfirmed soundcheck...CONFIRMED!!! The boys jammed that out for over 30 minutes while I played frisbee and the cars began filling the lots...it sounded like the Who or some classic rock band anthem...leave it to Trey to blow us away once again...that song was on everyone's minds today...good or bad...I say good...I even called my mom at work and told the receptionist that it was Dr. Gabel calling...had my mom for a minute too! haha 2010 has been ill!!!! Ahhh my first show. 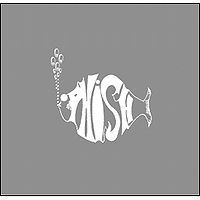 It's funny looking back and thinking about how little I knew about Phish just 19 months ago compared to where I am now. Anyways, here we are at Great Woods. 3 days after my 21st birthday. Me and 3 other friends all at our first show. We got to the lot as soon as it opened, didn't really venture around too much but I could tell that the vibe in this lot was much different than what it was for 311, Tool, NIN or any of the other shows I saw in Mansfield at that point. We made some burgers and chicken, gobbled some fungus and headed into the show. 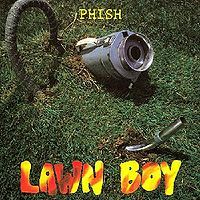 First off I just wanna say that there a few things in life that give me the feelings of joy and liberation that dancing barefoot on the lawn at a Phish show bears. Now with that said, time for the review. Lit O Bit: Made me feel like a noob because I had never heard that song before (of course I didn't know that it was a debut at the time) but I still loved it. Very catchy and danceable. And the chorus is simple enough that it's easy to sing along to after hearing it. Camel Walk: Another song I had never heard. But once again: funky, danceable and very fun. Possum: Finally! A song that I know! Even though I didn't immediately recognize it (I remember thinking that it was gonna be Back on the Train) I thoroughly enjoyed. It was a pretty standard (but well played) version and it since it was my first I think it could have been terribly botched and I still would have enjoyed it. Divided Sky: Yay! Another song that I know! Simply beautiful. Dirt: Yet another song I had never heard. One thing that will always make this version special is that one of my friends bailed last minute so I got another friend to come that wasn't really into Phish. He liked them but he was more into DMB and never really listened to a lot of Phish's material other than a handful of songs and apparently Dirt is his favorite so that made me pretty happy. Sample: Another standard that I was quite familiar with at the time. Very fun, well played and good placement in my opinion. KDF: Probably my favorite song on Joy and they nailed this version. Nothing too crazy, some good stuff from Trey in there but once again, a pretty standard rendition with good type I jamming. Now before I go on with the Dr. Gabel synopsis I just have to say, nothing drives me crazy like seeing a band in Mansfield and having the band refer to the crowd and venue as being in Boston. Is it really that hard to say Mansfield? We're like a half hour away from the city. Dr. Gabel: I really enjoyed this song. Catchy melody, Silly, nonsensical lyrics and the boys seemed to have a lot of fun with it. I loved Trey's little bit after the song about the difficulties of playing new songs. So many bands these days seem to enjoy creating a distance between them and their fans and this just further justified my idea that the Phans and the band share a mutual feeling of gratitude towards each other. We love their music and they love that we love their music so everybody ends up happy. Antelope: What a great song to close out my first set. Just all around great playing. Trey and especially Page stood out in this version. LEO ESQUANDOLAS! Set Break. Time to catch my breath, get some water, see some more friends and then sit on the lawn to play with the grass and puff a j before set II. Mike's Groove: How lucky am I? My first show and so far i've seen two debuts, 5 classics, my favorite song off of Joy and 1 song to relax and smoke to. Then what do I get to open my 2nd set? A f'ing solid Mike's Groove. A strong Mike's Song, Mike and Fish we're laying down some great stuff and Trey and Page knew exactly how to compliment it. Hydrogen was great too, in fact I still think it was absolutely perfect. Then they started up Weekapaug. This is when I wished I had a bucket to catch the thick, fatty fluids that were formerly known as my face in as it melted off of my head. I play bass and when I hear Mike play it sometimes makes me depressed because I know that I will never be that good, the beginning of this song was a prime example of one of those moments. Great stuff from Trey and Mike in this version. Sneakin' Sally: Another song that was new to me, it was somewhat recognizable. I knew it was a cover and that I had heard it somewhere but it was the first time I heard Phish play it and I was not disappointed. Incredibly funky and a great vocal jam taboot. Light -> 46 Days: Ahh yes Light, yet another one of my favorites from Joy. A great song with lots of room to really explore and get into some deep improvisation. Not even the gritty segue to 46 Days could ruin it for me. 46 days was sublime, one of my favorite songs at the time andit was a real treat. Limb By Limb: This didn't really stand out too much for me. Don't get me wrong, it's a beautiful song and I enjoyed it but like a lot of the songs on this night, it was tight, well played and standard. Golgi: Love this song. So much fun and a great energy raiser from the mellow LxL. Slave: Absolutely beautiful. Totally left me in a state of happiness and euphoria. Loving Cup: I was never a really big Stones fan so I had never actually heard this song before. Not too much to say about this version. Well played and a good finish to a great set. First Tube: Had the whole place rocking. A new song to me that totally blew me away and sent me out with a big ole smile on my face and ready to sit in the parking lot trying to leave for the next 2 hours. This was a decent show, but only a 7 out of 10 for me. Reminded me of first night Hartford which I gave an 8. The shows in between 9's and 10's. Seemed to be a show of Newbies and Oldies. Sneaking Sally was a highlight, as was the Camel Walk. For some reason everything was a lil bit choppy, just a lit O bit. There Is no doubt the boys are on fire, and having fun. I guess I enjoyed SPAC a lot. Those were quite some shows. Par of the course for 2010--A high energy show with lots of character, a new cover and a new original, Mike terrorizing the audience with his bass, Trey sounding great and cutting the rest of the band short during their best jams of 3.0. Phish yet again put together two flowing sets of extremely energetic, fun and well played music last night--so, it's hard to complain when we have been looking for that for 10 years now. In what seems to be inevitable now, Trey yet again cut two wonderful jams short to abrasively and awkwardly go into another song. The tho center piece jams of the second set, and night, were back to back and both amazing. Sneakin' Sally and Light had Phish's new 2010 style jams--Sneakin' with a more intense version of their newfound funk that we saw first in Hershey's Drowned, and Light which contained their new take on spaciness/evilness that we first saw in Blossom's Number Line. Sneakin' Sally had a vocal jam (a la 2009 Gorge) that went into a perfectly meshed showcase of funk with Mike using an effect that sounds like a new take on his 1998 "underwater" effect he used so often in YEM. When the jam had finally locked and seemed to be set to move out of the funk and into some heavier guitar work, perhaps, Trey started strumming the intro to Light. This jam was a real good jam, it probably had the most potential so far this tour to have been the best jam, though. Light, however, is real good this time around--probably the best version of the year. The bass becomes heavy with the drums slowly becoming in sync with them--just then, Trey makes everyone--including the rest of the best--shake their heads when he tries to force everyone into 46 Days. 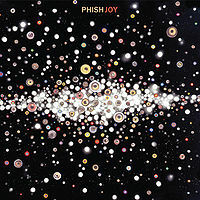 In a far more abrasive and awkward transition than the segue into Light, and right up there with the segue from Sand->Horse from Hartford, Fishman tries to wrestle the jam's reigns away from Trey by clearly drumming louder and more fluently--as if he is trying to say "Trey, we're really goin' here, chill out". In almost every other part of 2010's summer tour, so far, the entire band has been in sync better than I have seen/heard them since 1999--it boggles my mind why that goes out the window when they start really locking in and jamming. The awful thing is, these jams are coming almost on a nightly basis--think if Trey didn't kill these--we could have unbelievable improvisation nightly. It's as if Trey is afraid of something--is he afraid the audience is going to get bored or that the jam will be mediocre? Whatever it is, we have been waiting for years, a decade in fact, for Phish to be this energetic and precise again. And now it's this little road block to reaching Phish glory yet again--it's something that Trey can easily fix. The problem is no longer his lack of practice, his lack of energy, his lack of happiness--it's far easier to change than all of those things. Just let loose, Trey--If you are reading this LET LOOSE, STOP FORCING SONGS. 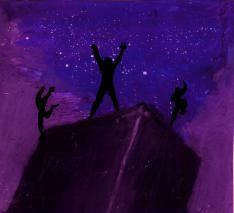 EVERYTHING ELSE ABOUT PHISH IS WONDERFUL RIGHT NOW--YOU ARE ONLY ONE THING AWAY FROM UTTER EPICNESS. Keeping things fresh and fun--proving that they are practicing with each other daily (which their overall communication in every song clearly reflects), they opened up with another first time cover, Lit O Bit before busting out the first Camel walk of the year and only the fifth version post-hiatus. Phish went on to play another very fresh first set with thoughtfulness and specific highlights. 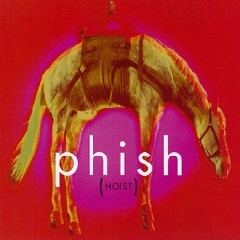 The first Dirt of 2010 popped up, along with another debut of a Phish original, Dr. Gabel--a poppy up-beat song ending with Bouncin'-esque guitar work. Kill Devil Falls was a first set highlight--this 12 minute version, second longest song of the night after Divided Sky, sounded a lot like a longer version of Chalk Dust Torture. The energy kept Trey ripping the whole way through. The set closed with Antelope--a version I find similar to Toyota Park's due to it's trouble finding a way to peak. Seeing as how the first two versions of the year contained Fishman and Mike references and solos, respectively, last night "Leo Esquandolis" was on deck for his short solo. Coming out for their second set, most wondered what they would open with--would it be a jam song, or a song with less room for improvisation? It ended up being Mike's Song--a song that could be either. This version is certainly another solid effort, better than most any 2009 version, however not up to par with Blossom's. 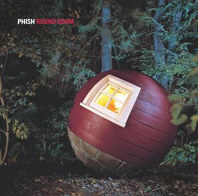 Weekapaug is a very solid version, with Trey floating frantically above the body of music the rest of the band created. I can't ever complain about a Mike's Groove opener (I wasn't too fond of Red Rocks 2009's)-- I loved to see it opening rather than closing for the first time this year, and Mike's Song to open a set always brings down the roof--good choice. They go onto the Sneakin' Sally->Light->46 Days trio that I have already mentioned. If I could say one more thing about it, it would be that I wish they did at least Light->Sneakin'-> 46 Days. Sneakin' is such a good/fun song to segue into, but easier and fun than going into light. This string of songs is certainly a must hear despite Trey's complete selfishness to the other band members and audience, yet again. They close the second set with a string of songs that made people question what the actual closer would be-- Golgi, Slave, Loving Cup. They did this a lot in 2009 and I wrote about it here. 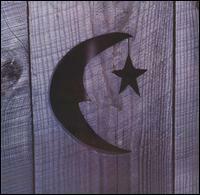 All are great versions--Slave is arguably the best version of 2010, 3.0 and post-hiatus. The show closed on an energetic note with the year's second version of First Tube. Phish is doing great--in fact Page and Mike, as I have said before, are on TOP of their games. Fish isn't missing a beat, he is better than last year too. Trey is thoughtful with songs, highly energetic and has great tone/sound/accuracy. They just need to continue building off what they have--AKA, Trey needs to just let go and see what happens. It's ok if he isn't the lead in jams, it's apparent Mike is ready to leave most of the jams, Mike has gained so much confidence and insight it seems after doing his solo stuff--let might guide the band if Trey hits an improvisationally creative bump. After all, Trey, Phish is supposed to be a unit--you don't have all the weight on your shoulders, just relax!